Update: Shadow is now on the in-game shop and Blizzard Store! Your new best friend costs $10 (or €10 for EU players), and 100% of proceeds from now until December 31 will be split evenly between the American Red Cross Disaster Relief and the International Federation of Red Cross and Red Crescent Societies (IFRC) Disaster Relief Fund. 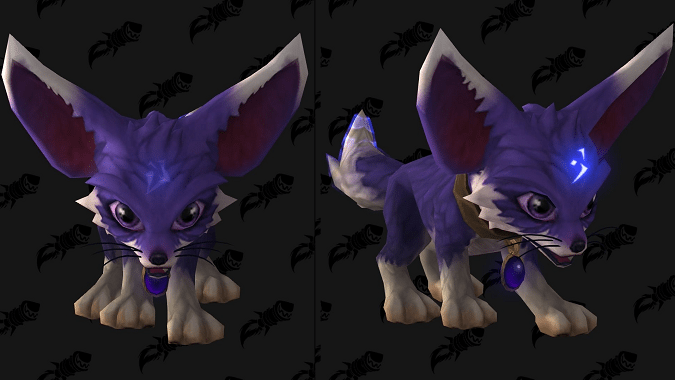 A surprise came to WoW in the early hours of the morning today — that surprise, if you somehow haven’t figured it out, was Shadow the fox pet. While the adorable little vulpes isn’t available just yet, it is listed as an In-Game Shop pet. Given the sudden appearance of the pet alongside the multitude of recent fundraising, it seems likely a portion of sales will go toward aiding victims of the recent hurricanes. Now, I can’t say I don’t take offense to the idea of Void being something that needs to be “shrugged off,” but the fox is cute enough that I can forgive it. Also, Glyph of Shadowy Friends is going to make it all Shadow all the time, so… take that! Don’t worry, Shadow, I’ll keep that Light away from you. What about you? Do you think you’ll be getting one of these adorable critters? As a Priest, it’s practically mandatory — but the cuteness factor isn’t exactly a deterrent.